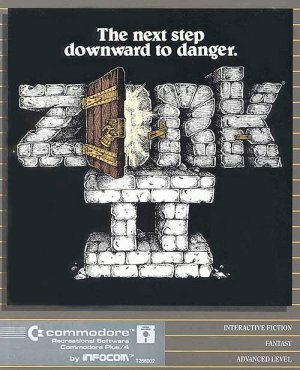 The Zork II computer game from 1981 includes a locked door that you can open by solving a clever puzzle. The door has the old-fashioned sort of lock that lets you look through the keyhole and see the other side. Except here, the key is in the other side of the lock. You slide a mat under the door, and then poke the key out onto the mat. When you pull the mat back, you have the key. Back when Dungeons & Dragons consisted of the original brown box, before skills, before rogues, before thieves, all the obstacles in the game invited that style of play. You overcame obstacles by immersing yourself in the game world, making decisions, and problem solving. See A Lack of Ability Checks Shaped How People Originally Played Dungeons & Dragons. This style of play suffers from the same problem as the puzzle in Zork. When Zork II came out, I had only ever seen that sort of old-fashioned lock in my grandma’s house. And if you’ve never examined that kind of lock, the door puzzle simply leaves you stuck and frustrated. In the old computer adventure games, when you became stuck and frustrated, you had to send money for a hint sheet, and then wait for it to arrive in the mail. Fourth edition attempted to eliminate such frustration by emphasizing skill checks and skill challenges over concrete obstacles and over players’ problem solving skills. During this era, Dungeon magazine’s submission guidelines warned authors to create challenges for the characters, not the players. When every obstacle has a DC and multiple skills, then no one gets frustrated. If you find a locked door, you can pick the lock with Thievery, or break the door with Athletics. No one gets frustrated, but no one feels engaged either. When the game only challenges character skill, the players never need to make meaningful decisions or engage the game world. They just look at their character sheet for the best applicable skill. This improves on playing guess-the-solution-I-thought-of with an inflexible DM, but the picking a skill and rolling is less fun than D&D can be. To add weight to the choices players make when they build characters. See The Pros and Cons of D&D’s Ability Checks. Such inflexible, punitive DMs neared extinction decades ago. When Mike “Sly Flourish” Shea asked players to cite the traits of a good DM, flexible ranked first. Dungeon masters can challenge players without risking player frustration, because DMs can allow creative solutions. Have you ever noticed how the Tomb of Horrors makes the demi-lich only vulnerable to a short list of curiously-specific attacks? a power word, kill pronounced from the an astral or ethereal magic-user will destroy it. A power word, kill does nothing, unless you happen to be ethereal or astral! How would anyone think of that? Also, the demi-lich is vulnerable to the destruction of very expensive gems. That messes with the players in the best(?) old-school tradition. Only someone immersed in that tradition would even consider the gem attack. Now, I see the list differently. I suspect Gary created Acererak with no vulnerabilities in mind, but as he ran the adventure, players invented attacks. If Gary judged them reasonable, he allowed them to work. When Gary wrote the adventure for publication, he listed the attacks he had allowed so far. When I DM, I love to be surprised. One of the great joys of being a DM is crafting some trap or obstacle, leaving a couple ways to overcome it, and then watching as the players crack the problem with a third way. I’ve run campaigns for groups who proved so good at coming up with unexpected solutions, that I stopped worrying about planning any solutions. I just sat back and watched the players come of with something. I have three bits of advice for refereeing game-world obstacles that demand player skill to overcome. Watch the players for signs of frustration. Be prepared to let he characters uncover a new clue, or to just have something on the other side of that locked door come and open it. It’s good to say yes, but avoid being too quick to accept implausible solutions. If a couple of players are deeply engaged in a predicament, and you allow any dumb idea to work, they just get annoyed. The last thing you want is a player arguing that something you allowed should fail. Watch out for clever, repeatable ideas that break the game. I remember a player who regaled me with a story that he remembered fondly. His party defeated a dragon by enclosing it in a wall of force shaped like a giant fishbowl, complete with an opening on top too small for escape. Next, they created water above the opening, filling the fishbowl and drowning the dragon. I suspect that no version of Wall of Force ever actually allowed such shenanigans, but as a one-time trick, the stunt created a moment the players’ loved. I wonder what the DM decided to do when the players kept trying to repeat it. If you can use this trick on a dragon, the dungeon becomes your aquarium. This entry was posted in Advice, Role-playing game history and tagged ability checks, computer games, Gary Gygax, Mike Shea, player skill, puzzles, Tomb of Horrors, Zork. Bookmark the permalink. But have you also noticed that if you don’t touch the skull, then you don’t have to fight Acererak at all? Just take the treasure and leave. That’s no longer the case with the 5e demi-lich stats. I only recently noticed this, and I think it’s intentional because it specifically penalizes players who attack first, or greedy players. A puzzle to solve that plays against the usual gaming assumptions and actions. Cautious players will be rewarded. -Since there were expected to be 9 PCs, there were to be 9 encounters. The reason there were 9 encounters, is that each encounter would be tough enough that they expected 1 character to die. -In each adventure, there should be two traps, and one trick to fool the players. -Each adventure should have one problem to be solved by the players. I’m not so sure about the 4e design approach. While lots of people express their opinion that it was too much like video games, I’ve always seen the bigger influence as MtG. That is, a game where the point is to engage the rules of the game, with lots of interesting options to mix and match abilities for “more interesting” play options. If done properly, in theory anyway, it also reduces min/maxing because everything is a balanced (and balance seemed to be a significant goal in the game design). But it makes perfect sense that 4e would eliminate the concept of a problem to be solved by the players. Because you can’t balance against player skill (or lack thereof). You can set a DC, a challenge rating, and assign XP for a challenge to be overcome by the characters by engaging their skills. But you can’t set any of that against player skill. Another issue it eliminates is the problem of players that have already played, or read, the adventure. Puzzles become no challenge once you know the answer. I disagree with the approach of removing puzzles from the game because they are hard to do well. In part for the reason you state – the players aren’t as engaged (unless they are MtG-type players that enjoy seeing how the “deck building” plays out at the table). Those are some interesting observations regarding the Demilich. I have always wondered as to how, players were supposed to figure those solutions out. I cannot help but wonder if the same thougt applies to golems and some other creatures, who have some strange and very specific weaknesses, that more or less seems to require the players to know which monsters to expect and to have read the MM to know, that a given spell will have a specific effect (some of course are obvious such as fire against an ice beast or a Shatter spell against a crystalmonster but others are rather specific)?